In industrial contexts, manufacturers require plastic bins for shipment and storage of their products. The same is true for distributors and suppliers. Plastic containers are also used to store fuel, raw materials and other important ingredients in all kinds of industrial processes. The plastic products produced by rotational molders are utilized in commercial settings, specifically used in furniture, office equipment and a long list of other important utilities. Rotational Molders – Sterling Technologies, Inc. In consumer products markets, plastic products are everywhere; plastic bottles, garbage bins, toys, decorations and a long list of plastic domestic utilities make up a large part of the global demand for plastics. 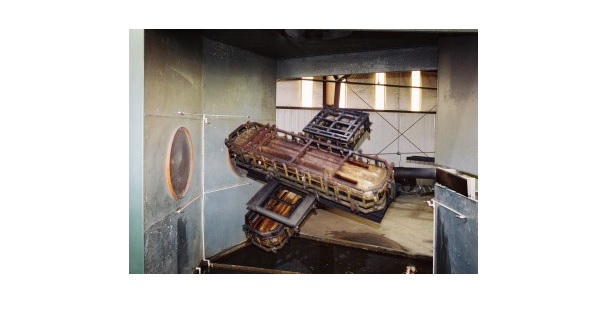 Rotational moulding is one of the many processes by which these products are created. Rotational molding is particularly appropriate for the formation of tanks, large containers and other hollow plastic shapes. Rotomolding is prized for its capacity to produce plastic shapes of high, uniform quality. Consistent product wall thickness in particular has given rotomoulding special status among hollow plastic product fabrication methods. Rotational molders, in some ways, are very similar to plastic extruders, injection molders and vacuum formers. Each machine involves the heating of raw plastic material beyond its melting point in order to form the plastic into a useable product. The major difference between rotational molders and other plastic formation tools is that rotomolders involve a movable mold. The rotational molding process begins with a collection of raw plastic material in a partially open mold. Once filled, the mold is sealed and heated. Once the plastic within the mold is heated beyond its melting point, the mold is rotated in order to distribute the plastic throughout the mold. When the plastic has coated the mold’s interior, the mold is cooled by water jets or other cooling methods. The newly rotationally molded plastic product is then ejected from the mold and either prepared for shipment to customers or sent for additional processing like cutting and surface treatment. Many parts can be produced simultaneously during rotational molding, resulting in very little scrap and reduced assembly costs. The main disadvantages of rotational molding are the slowness of the process compared to other formation methods like injection molding as well as the high cost of rotational molding equipment. Rotational Molders Rotational molders are machines that are used to form hollow plastic products using molds and rotational movement. The demand for plastic products is very high throughout all sectors of the global economy.